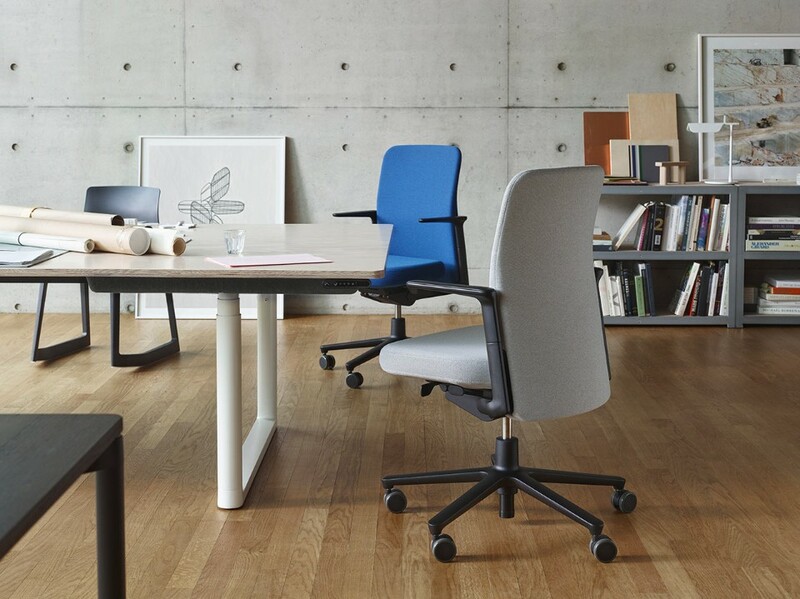 The height-adjustable back and armrests form part of the same vertically aligned profile. This is a decisive feature of the overall design concept and allows users to sit sideways. The synchronised mechanism automatically responds to the weight of the respective user, offering an immediate sense of personalised comfort. Further fine adjustments can be carried out quickly and easily thanks to the concealed but intuitively positioned operating elements. The padded backrest comes in three different heights. Components are colour-coordinated in light or dark versions, available with matching functional armrests or elegant aluminium arm supports.